SEOUL: South Korea said on Monday the abrupt cancellation of United States Secretary of State Mike Pompeo’s trip to North Korea is having an “effect” on a controversial inter-Korean liaison office it planned to open by this month. US President Donald Trump abruptly canceled his top diplomat’s planned trip to North Korea on Friday, publicly acknowledging for the first time that his effort to get Pyongyang to denuclearize had stalled since his summit with the North’s leader. South Korea’s presidential Blue House spokesperson Kim Eui-kyeom said on Monday that the canceled visit “cannot be said to have zero effect” on the plan for the liaison office. South Korea has been building a liaison office just over the border in North Korea, as part of efforts championed by the South’s President Moon Jae-in to improve ties between the two Koreas. The office, which the South Korean government said planned to open by August, had raised concern among opposition lawmakers, analysts and local media that the transfer of material for the office could violate UN and US sanctions against North Korea. South Korea’s Unification Ministry spokesperson on Monday repeated its stance that all the material for the liaison office are for the office’s operation and the convenience of South Korean personnel, and does not give any economic gain to North Korea. The spokesperson added the two Koreas continue to discuss matters such as the timing of the office’s opening, after agreeing to open it “soon”. 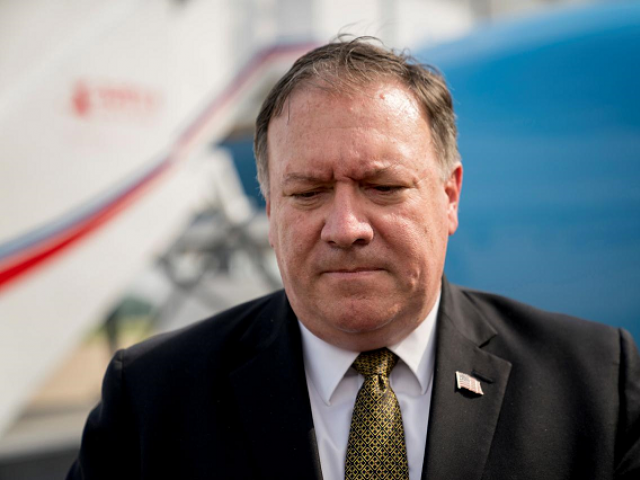 North Korea’s state-controlled newspaper on Sunday accused the United States of “double-dealing” and “hatching a criminal plot” against Pyongyang, but did not mention Pompeo’s canceled visit. Since the June summit, the two sides have struggled to narrow differences over the North’s nuclear weapons program. Pyongyang has been calling for a declaration of peace as part of security guarantees designed to encourage it to abandon its nuclear weapons and ballistic missiles, while the Trump administration says a peace deal and other concessions will only come after more progress on denuclearization. The inter-Korean summit slated for September remains on track, and President Moon’s role as mediator between the US and North Korea appears to have expanded after the canceled visit, Blue House’s Kim told reporters on Sunday.